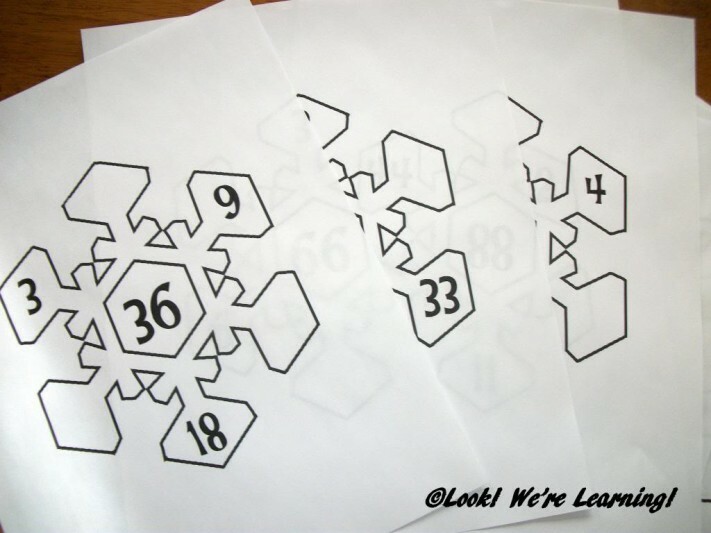 Snowflake Math Factor Printables - Look! We're Learning! Hey everyone! 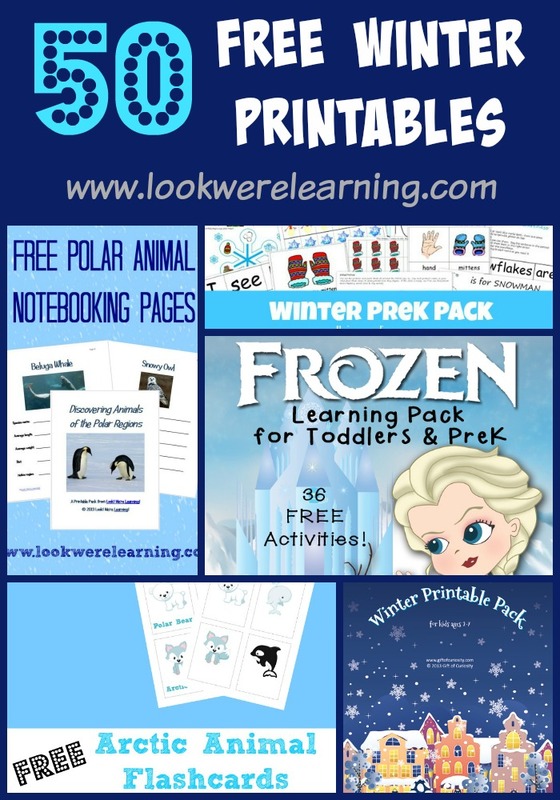 We’re back from a short break this week with a free set of homeschool printables that are perfect for winter learning! Tigger’s had her struggles with math over the years, so we’ve had to add a little fun to our math work to help her stay focused. 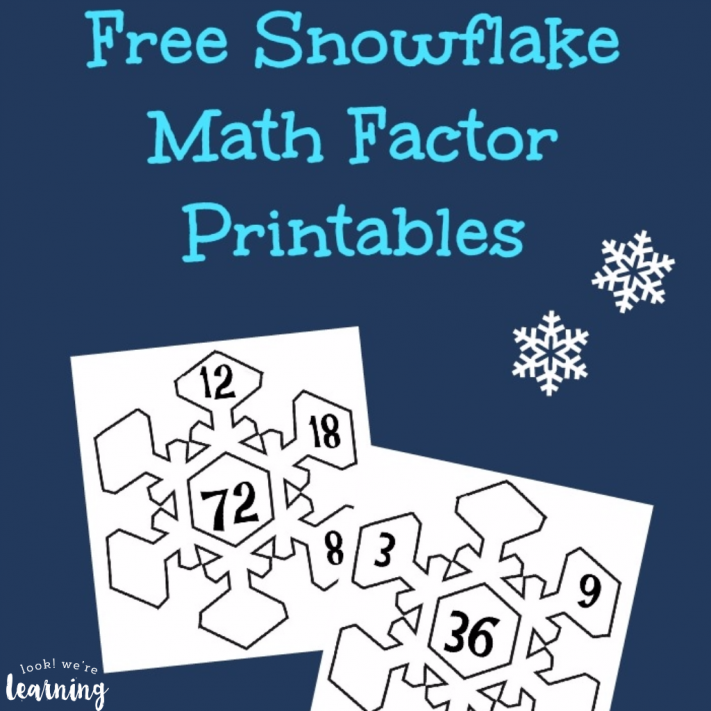 This month, we decided to tackle multiplication factors with set of free snowflake math factor printables! Read on to see how to get your copy! 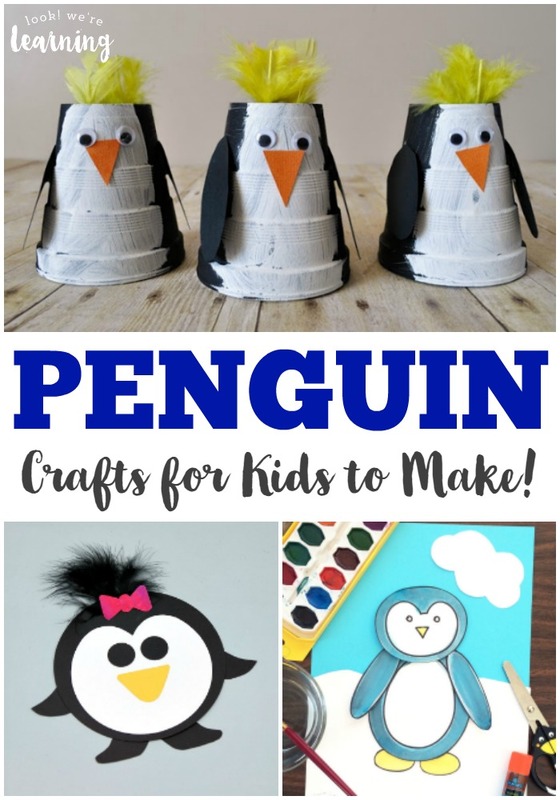 If you like these, don’t miss our ideas on how to use them for a fun snowflake math factor craft! 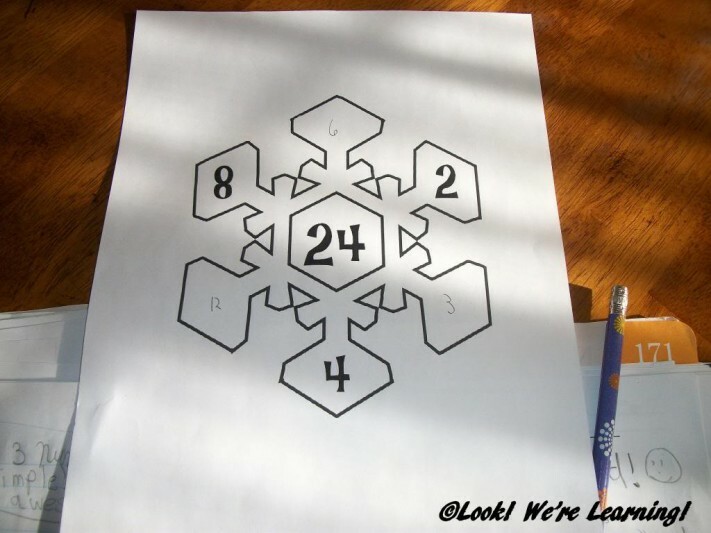 We designed the activity so that the snowflake arms all show numbers that are factors of the larger number in the center. They work on a diagonal, so there are three numbers already given and the kids have to find the other number that makes a factor pair. 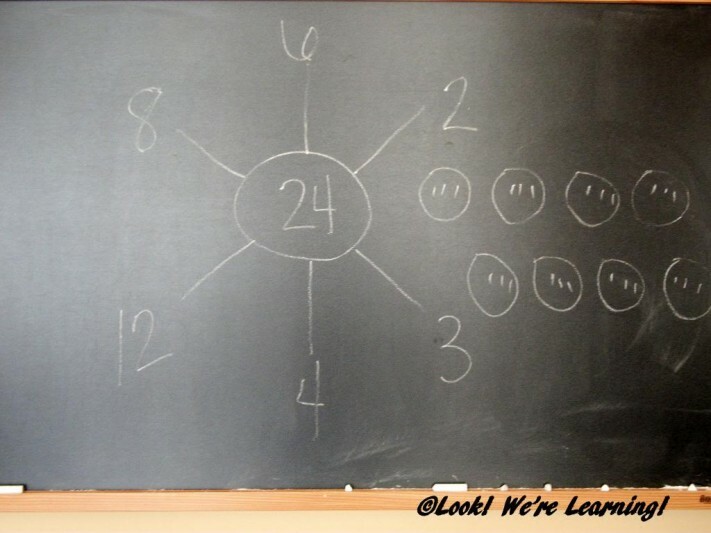 Example: On the sheet above, the center number is 36, so all of the numbers on the snowflake are factors of 36. Kids will need to find the missing number in each factor pair: 18 x ? = 36; 9 x ? = 36; 3 x ? = 36, and so on. To give Tigger a helping hand, we walked her through the first one. We’ve covered multiplication with her in the past and found that the circles and dots method seems to work best for her. We decided to let her try the next one on her own. She did great! She counted up the numbers and filled in the spots pretty easily. We added some larger numbers in the pack as well to help kids test their multiplication facts, but a full answer key is provided at the back. 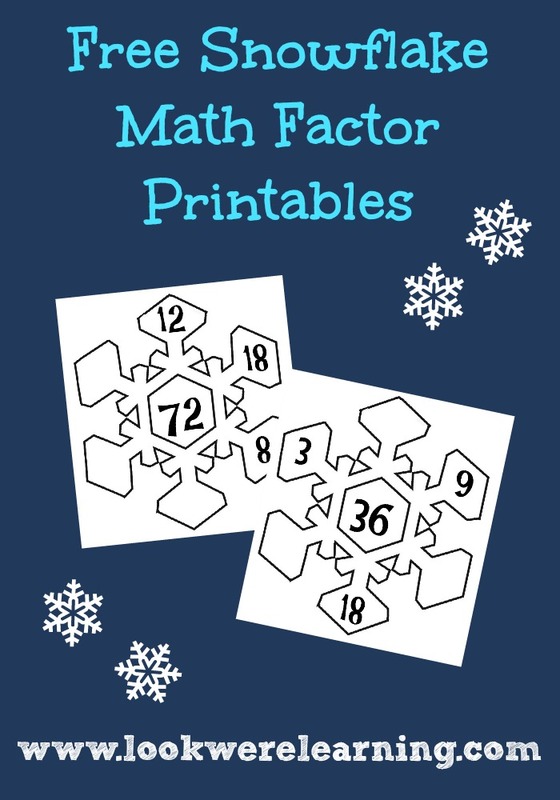 Scroll down to get your copy of our Snowflake Math Factor Printables! 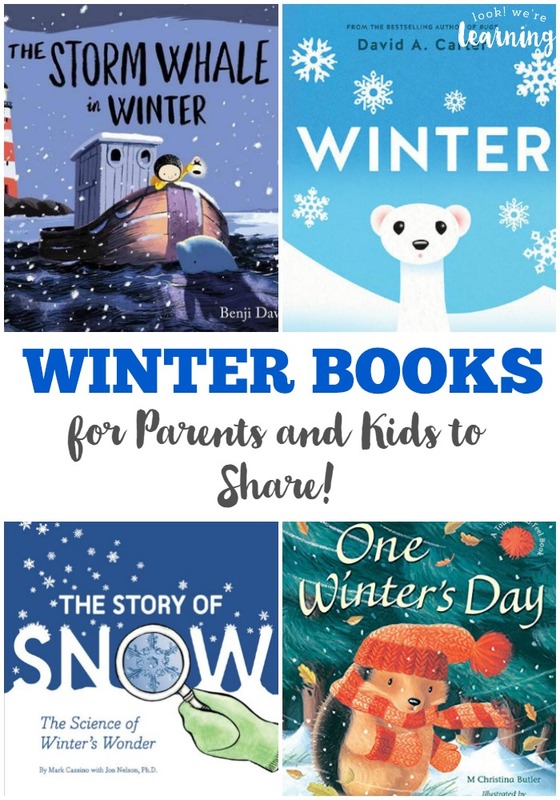 Don’t miss our other winter learning ideas! 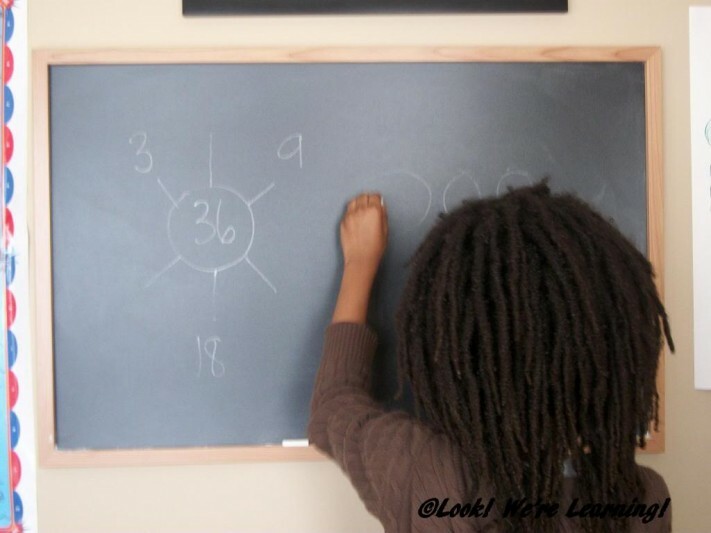 Get more tips for teaching math on my Math Mania Pinterest board! 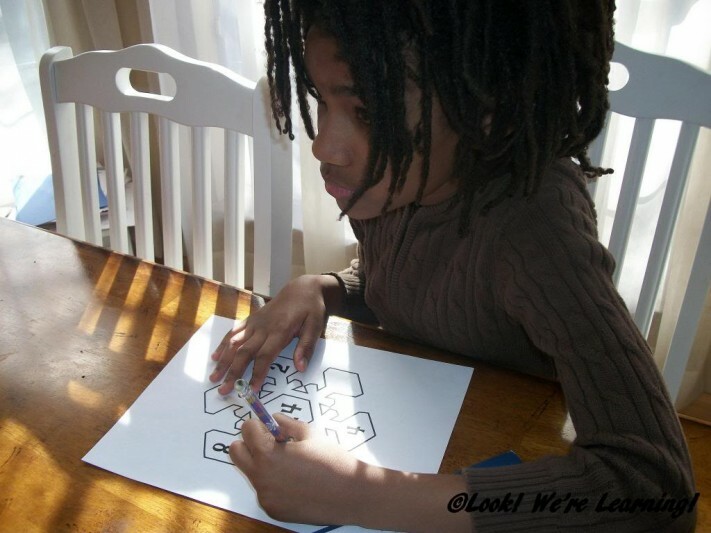 To get your free Snowflake Math Factor Printables, sign up for our email newsletter! You’ll receive these and other educational resources in our exclusive Subscriber Library!